Inula is a large genus of hardy perennials. 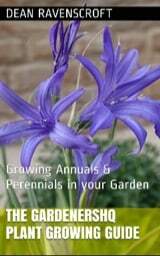 They range in height from 30 cm to 2 m, making them useful in garden borders. Inula carry daisy like flowers in the summer. 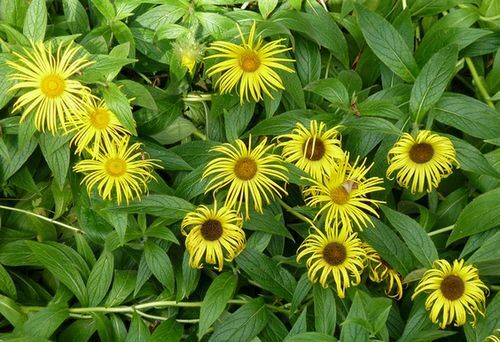 Some common names for Inula are Elecampane and horseheal. Common Names: Inula, Elecampane, British Yellowhead, Irish Fleabane, Marchalan, Horseheal. Height: 10 to 96 inches (25 to 240 cm). Flower Details: Gold, yellow. Daisy-like ray and disc florets. Rays are thin and spidery. Foliage: Herbaceous. Some species such as Inula magnifica have long leaves that can reach up to 36 inches (90 cm in length). Narrow. Toothed. Sow Outside: Cover seed. Start of spring - before the last frost or the beginning of autumn. Spacing: Small species 6 to 18 inches (15 to 45 cm); Larger species 18 to 48 inches (45 to 120 cm). Sow Inside: Germination time: two weeks to two months. Temperature: 55 to 65°F (13 to 18°C). Six or seven weeks before expected last frost. Transplant outdoors following the last frost. Requirements and care: Full sunlight or partial shade for some species. Good drainage. Ordinary soil. Apply manure top dressing at the beginning of spring. Regular watering during dry periods in summer to maintain soil moisture. Cut back flowering stems once blooming has completed in the autumn. Maintain vigour by dividing every three years. Propagate: by dividing in the spring in cooler areas or the autumn in warmer areas. Miscellaneous: Some species, such as Inula Britannica are considered to be aggressive weeds in many areas. Elecampane is used to produce absinthe. Seeds of Elecampane and other Inula species can be planted either at the beginning of autumn or before the last frost of spring; once sown the sees should be lightly covered with soil. Elecampane and other Inula like to grow in sunny areas of the garden that have good drainage, the soil type is not to important. If you first plan to grow Elecampane seedlings indoors then they should be prepared about 7 or 8 weeks before the last frost of spring. The seeds will take anything from two to six weeks to germinate at 12 to 18 degrees centigrade. Once ready the young Inula plants should be transplanted into the garden following the last frost of spring at a spacing of 20 cm (small) to 60 cm (large). To create more Inula plants they can be divided in the spring or autumn. It is easy to look after Inula, simply keep the soil moist and cut back the stems after flowering has finished in the autumn. It is necessary to dvide the plants every three years or so to maintain vigor.